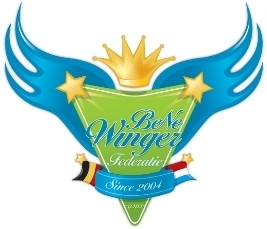 BeNe Winger Federatie (BNWF) is a federation for Dutch speaking managers who train crossing (winger). The federation was found on 23-06-2004 by Big_Apple who is still the chief administrator. The main purpose of the federation is the support of unexperienced wingtrainers, to discuss aspects of wingtraining, to learn from each other and to build a community among wingtrainers. The federation usually counts between 210 and 220 members. Becoming member requires an application in which users have to confirm that they train wingers or have interest in this training-type. If you are planning to sell one of your wingers and you don't know which price to ask for him, you can post his stats in one of the "how much"-topics. Other federation members will give you an idea of how much you can get for the player. There are two different "how much"-topics: one for the players who have a wing skill up to 'outstanding', and one for the players with a wing skill that is 'brilliant' and higher. This is the topic where you can ask all kinds of questions as long as they are Hattrick-related. If you want to buy a player but you don't have enough money, and one of your players is on the transferlist as well, you can ask a federation member to place a bid on your player. This way you get virtual money to bid on the player you want. It's logical that this is only possible if your asking price is not too high. You can't expect your fellow federationmember to actually buy your player. The rule now is that your asking price is zero. In this topic all the trainees who might have a chance to make it into the U20-team of their country, are gathered. Here you can discuss if a player has enough potential or not, which stats need to be trained more, etc. New members can introduce themselves here. If they want, they can present their current trainees or their training strategy. Here you can give your players on the transferlist some publicity. The players are not all gathered in one topic, there is one topic for each position (keepers, midfielders, defenders,...). They are not marked with the "++"-prefix but with the prefix '[transferad]'. The Wingking is a title that is given to the best winger of the federation and his owner. The Wingking is chosen each season by the members of the federation and is each time again subject for a lively discussion. The election usually starts in off-season. Each member is invited to post his best winger(s) in the Wingking-topic. Eventually when the deadline has passed, the organizer (usually Big_Apple) chooses the 10 best wingers out of all the players that have been posted. These are put into a poll. The player with most votes obviously is the winner and is crowned Wingking. His owner gets the official title of Wingking in the federation. Now the election is up to it's sixth edition and it's seventh winger because one time there was a tie and two players were elected Wingking. BNWF has a partnership with Danske Winger Trænere (DWT) (AllianceID: 12443), a Danish Federation of wingtrainers. They regularly have a "fed-battle" in off-season. Then teams from both federations meat each other in a friendly match. The federation with most wins is the winner. BNWF currently leads with 3 fed-battles won against 2 for DWT. This page was last edited on 6 August 2007, at 15:02.